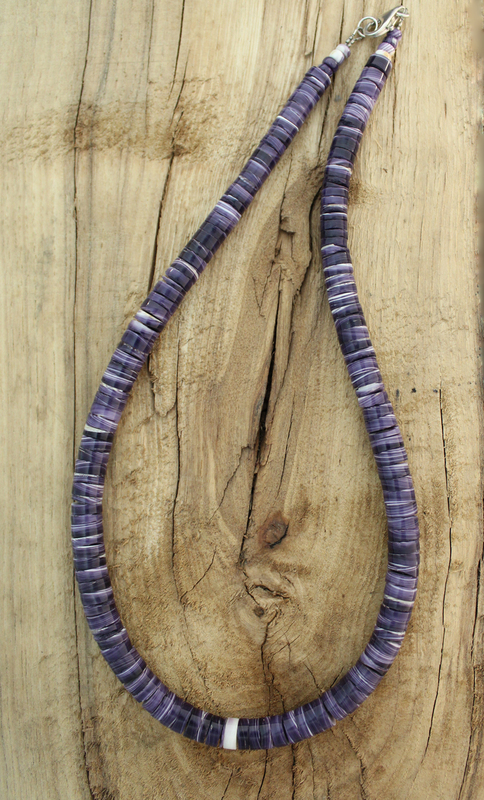 Every single bead in this Wampum necklace is hand cut and shaped into a flawless, smooth, homogeneous flowing string of Wampum by Cherokee Artist General B. Grant. 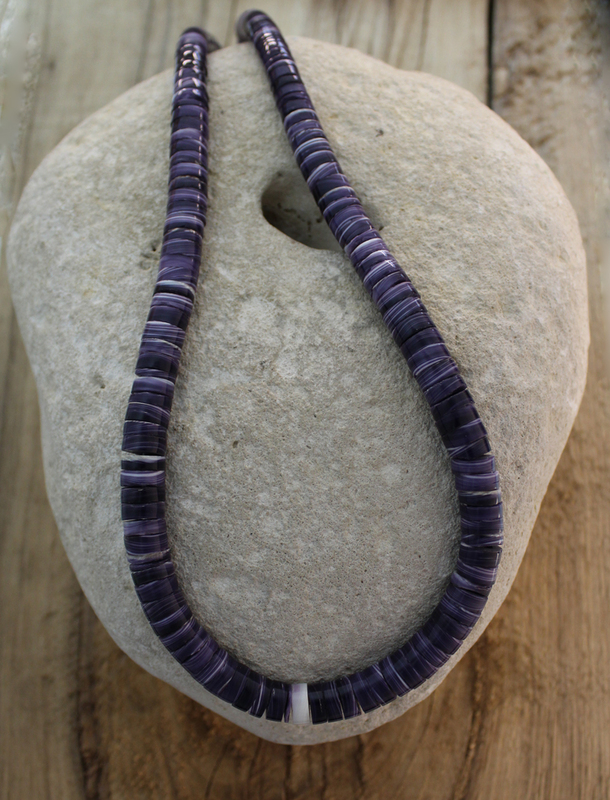 Only the finest deepest purple shells were used for this exquisit necklace and one pure white bead in the bottom center. The thick, round beads with a straight edge are called 'wafers'. The necklace measures at 19 inches in length.